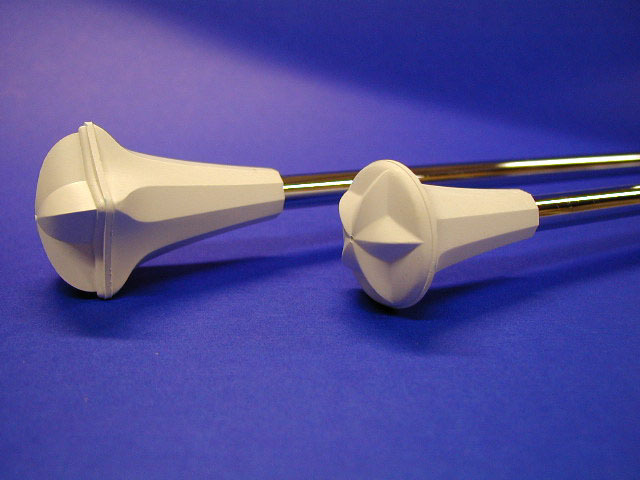 Available with the normal 7/16 inch (11 mm) shaft with silicone rubber. The rubber prevents the batton from moving/rolling after falling. The rubber of the ball and tip is softer than the ones on the normal Super Star Baton.